Being a transportation company on Long Island with our main vehicles running off fossil fuels we feel that it is our duty to limit our carbon footprint as much as we can. Over the years we have instilled certain practices as a way to accomplish this endless journey. 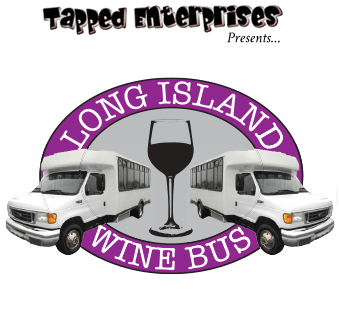 At Tapped Enterprises Inc. we have a passion for local sustainable businesses. By visiting local businesses whether it be a brewery, winery or local pub. We are creating a more sustainable community and securing and/or creating jobs for people within the communities of Long Island. In other words, you most likely will not find corporate chains like Buffalo Wild Wings or Applebee's as a destination on our tours. We actively encourage and recycle all waste and containers on our buses. After all it is a given that people are going to be consuming beverages on many of our tours and many bottles and cans are often the by product. We have two garbage pails on all our buses and encourage guests to discard waste in proper bins so we do not have to do it at the end of the day. This will lead to less waste winding up in local landfills. Being on a beer or wine tour in the dead heat of summer or at anytime throughout the year can be very dehydrating. The last thing we want is our guests to not be properly hydrated and over the years we were offering bottled water to everyone on our buses. After seeing how much waste this was causing we decided to install and secure small water coolers on our buses. They come filled with filtered water at the start of any tour or trip reducing plastic bottle waste. Over the years we grew tired of becoming lost in a sea of red solo cups. Yes a party favorite and an even more annoying song, but today we only use biodegradable composting plastic cups. We will only supply traditional plastic cups if they are left on our buses which does happen a lot. In addition, all of our plateware that cheese platters are served on are sustainable bamboo plates or reuseable wooden trays. As a way to minimize paper waste we have instilled electronic invoicing whenever possible. We will encourage e-signing contracts and invoices via email and by using ipads and other tablets on our tours.